Chocolate was known as one of the greatest gifts for Christmas, if you have a lot of money then you should try this chocolate praline made by a famous chocolatier Paul Wittamer. 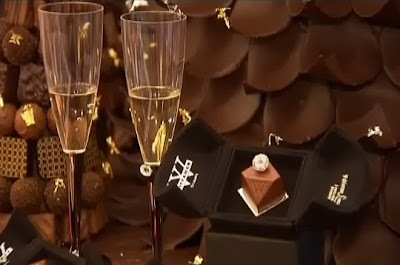 It's worth for $240,000 or approximately €180.000.. Paul Wittamer works together with jeweler Fabienne Lascar to made this crazy luxurious chocolate which also became as the world’s most expensive chocolate praline comes to prominence. This chocolate pralines was created in Brussels, Belgium (that's why we love belgian chocolate), this chocolate praline seems to piece of art when it comes to the culinary expertise put in. Tasted by experts, the taste of this unique piece of chocolate is comes from the finest dark ganache, caramel, with helpings of ginger and a dressing of edible gold leaf. 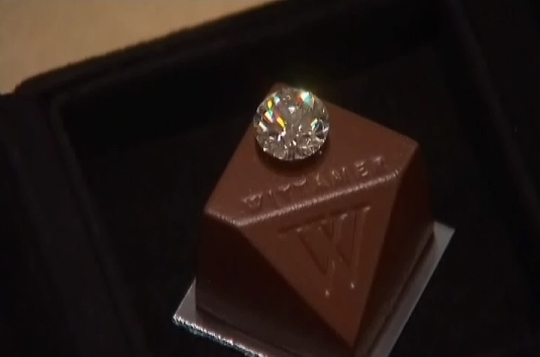 But what really adds the special touch is the single 3.63-carat diamond which is the main garnish on the chocolate, packaged singularly with each piece of that unique chocolate. Considering the high value, the packaging had to be unique as well, since it is crafted specially to hold this unique item, and from what we can say, will also have details of the authenticity of the jewel. 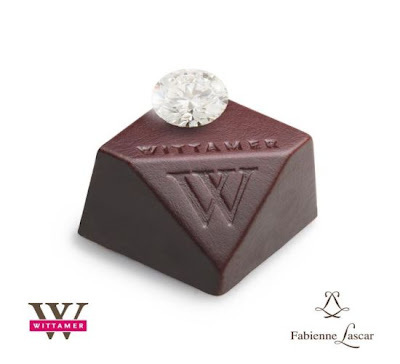 I wonder about the diamonds on the top of this praline? is the addition of the diamond add anything to the chocolate’s taste and flavoring properties? I guess not. here's some of the images of the World's Most Expensive Chocolate Praline by Paul Wittamer. Would you buy this chocolate as 2011 Christmas gift? or even for the valentine's gift next year?